For your eCommerce website to be taken seriously as a professional business, you're going to need to buy your own domain. Sure, you could start out without a domain (for example, when using Sellr FREE) but you should absolutely get yourself a domain eventually. When buying a domain, however, there are a lot of things to take into account, because obviously, a site's URL is very important! 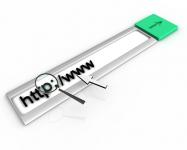 So I hope that gives you a good idea of the factors which need to be taken into consideration when buying your domain. If and when you do buy your domain, we have a set of guides which can help you to use your domain with Sellr: click here to find our domain guides. But if you don't even have an eCommerce website to buy a domain for yet, then sign up to Sellr now and get started for no cost at all!